Ever wanted to get things of your chest? Run to the top of a mountain and scream down at everybody below? Well now you can (sort of) & it's all thanks to an art project by some company called 'Unsworn'. 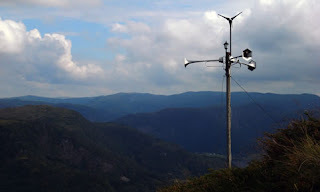 "The Telemegaphone automatically answers incoming phone calls and broadcasts them across a fjord in idyllic Western Norway down to the remote town of Dale. The project addresses Blah Blah Blah Innovative, provocative and exciting, the Telemegaphone is just plain old fun. Enjoy." Well who hasn't wished for something a little like this after a hard day's slog at the office...?